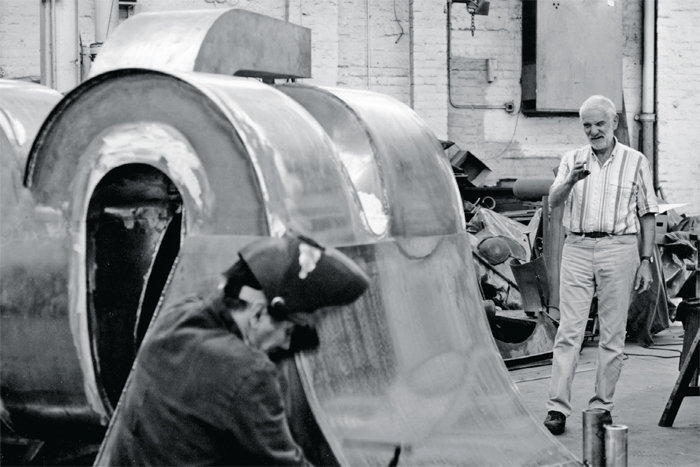 Anthony Caro working in his Camden Town studio, London, 1989. Photo: John Riddy. © Barford Sculptures Ltd.